The supernatural thriller follows five medical students obsessed with what lies beyond the confines of life. They embark on a daring experiment: by stopping their hearts for short periods, each triggers a near-death experience - giving them a firsthand account of the afterlife. Also experiencing the chilling consequences of exploring the one line that should never be crossed are James Norton (“War & Peace”), Kiersey Clemons (Justice League) and Kiefer Sutherland (the original Flatliners). The bonus content for "FLATLINERS" on digital, Blu-ray and DVD includes two behind-the-scenes featurettes. 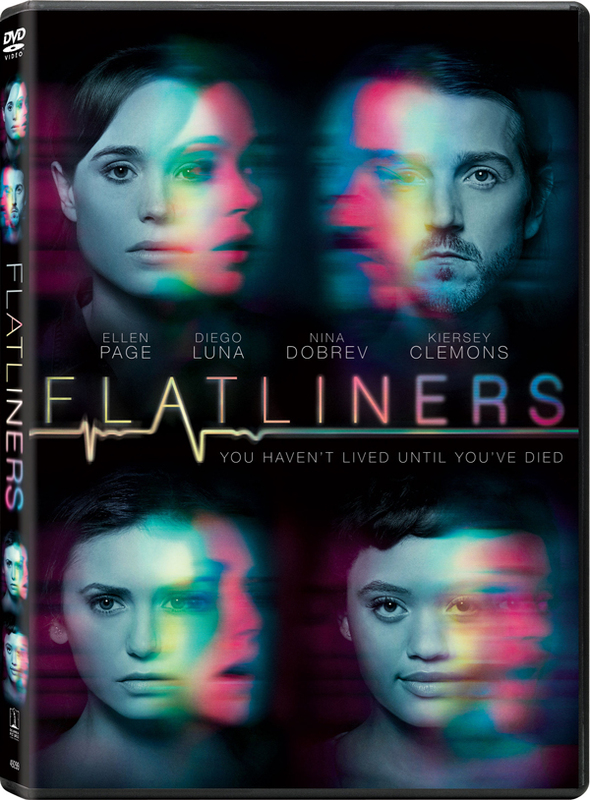 The FLATLINERS digital and Blu-ray releases are loaded with additional exclusive bonus material, including deleted and extended scenes, plus two more behind-the-scenes featurettes. The featurette “Reviving a Cult Classic” explores the differences in tone, concepts and creative design from the original film and the update, featuring comments from producer and film icon Michael Douglas, while in “Making the Rounds,” the cast shares what intrigued them most about their characters, their experiences on the set, and their favorite film moments. By stopping their hearts for short periods of time, each triggers a near-death experience.